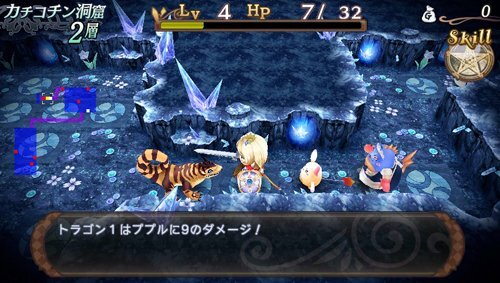 St. Madou Monogatari, a Role Playing Game set to release in Japan on the PlayStation Vita, has got some new screenshots. 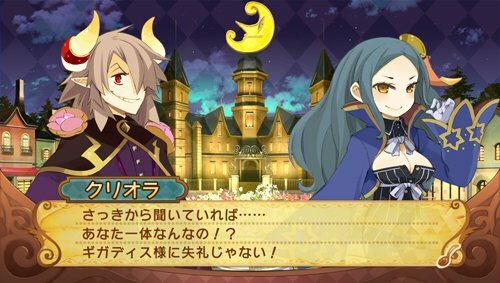 The Compile Heart game, coming in March, has illustrations from a collaboration of three famous illustrators: Mr. Mots, Mt. Tsunako, and Mr. Ichi. 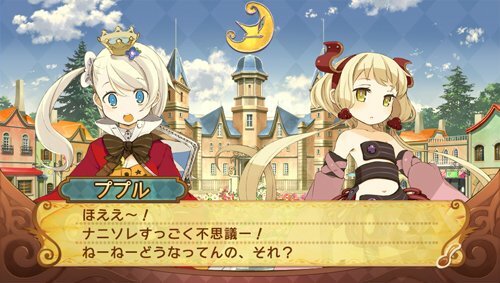 The story begins with Pupuri, who is in the 2nd grade of the Magic Academy taking on the graduation test, “Magic tower.” In order to graduate, it is believed that one must obtain a “Magic sphere” but why is it that she is finding a picture of curry in an old book? 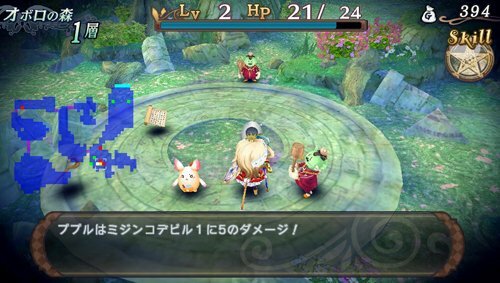 Pupuri brings back a creature that she met in the tower by the name of Ku-chan. This was not really allowed and it got her into trouble at school, which included being suspended. In addition to bringing the creature back, she has also been intrigued by an old Curry book. From the book, she learns some of the magical curry recipes and while she is suspended from school she has decided to help a run down curry store in the neighborhood. She sets out on an adventure to make the magical curry from her book for the store. Pupuri must now seek out 4 ingredients for the magical curry. On her adventure, she gets into some sticky situations. A devil king proposes to her without her consent, a witch driven mad by jealousy becomes her rival, she aims to become a transformation sorcerer and she makes a group with 3 unlikely heroes. She is the hero of this story. She is a 2nd year student at the Magic Academy who loves Curry. Although one way or another it seems misfortune is pulled to her, this does not worry her. A curry loving mysterious creature. Because they like girls, they often embrace them; however they often shun boys. He makes death stares, especially in front of men he does not like. 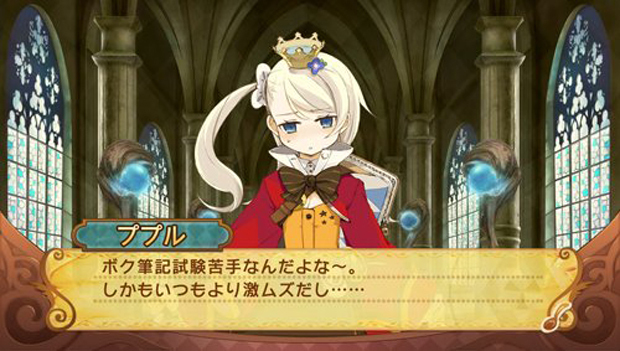 A mysterious girl who is able to fire “Curry electro-waves.” She embraces the “Curry god” who loves Pupuri. The young Prince of Hell. Upon casually visiting the upper world, he falls in love with Pupuri on first sight. He likes girls but is however a bit silly flirting and occasionally proposing to girls he fancies. A witch and daughter of a distinguished family. Having fallen in love with the Demon King, she believes the magical curry is only appropriate for him. Having a one-sided rivalry with Pupuri, Kuriora schemes to take back the ultimate ingredients. A Wizard who wanders looking for the ultimate magical power. His expressions are confusing and eyes appear dangerous. However, by being surrounded by companions, he transforms and begins to show recognition. A mysterious woman whose profession is a diviner. She is able to read old and outdated languages and talk to old people in their older tongue. She has seen a similar source of “The legend of the magic curry” and believes in it. Thank you to Jodie Langford for translating this information and writing the character bio’s.